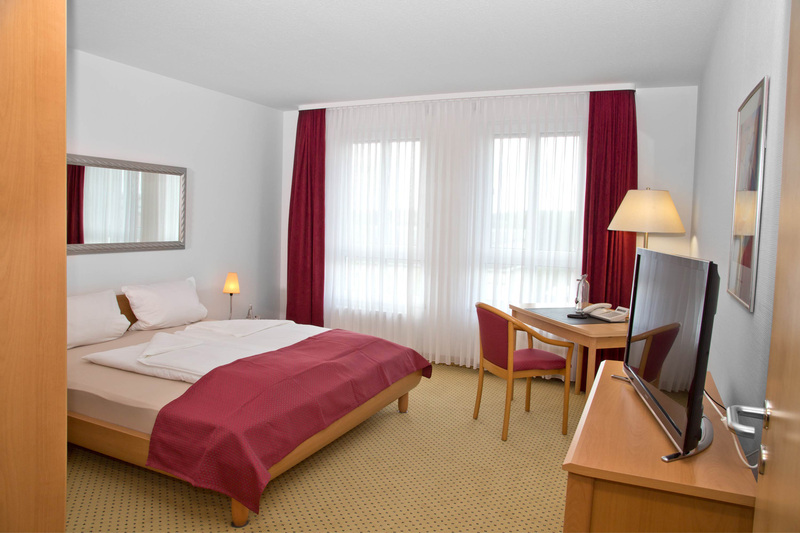 Our comfort rooms can be both used as single or doubleroom, because of their generous size of 24qm. A few rooms offer even a comfortable living space of up to 50qm. Comfortable technical standard as Flatscreen-TV with radio, display telephone with voice-wakeup Call and high-speed Wi-Fi offers all the communication possibilities of our time. Further room amenities: hair dryer, cosmetic mirror, cosmetic wipes, cosmetic utensils (shower cap, liquid soap shower dispenser, soap, nail file, sewing case) desk, luggage rack, bathroom with toilet and shower. Weekend rate is valid when arriving on Friday and departure on Sunday! All prices are valid per day, room and person (plus breakfast). These prices are valid to 31. 12. 2014 Service charge and Value added tax are included. Prices are not valid for big events. Special arrangements at weekends, festive days, as well as special events in the surrounding countryside (e.g. Spargel- (Asparagus)/Vine season etc..) on request.